September is still considered high season for tourism as well as congresses and events in Hamburg. For all hotels: To avoid getting charged with a “city tax“, please make sure upon arrival that you travel for business reasons and that your university is addressed on the invoice. 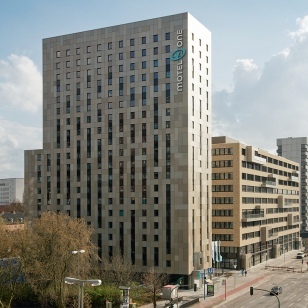 The modern Motel One Hamburg-Alster is located near the Alster river in the centre of Hamburg. The train station Lohmühlenstraße (U1) is directly in front of the motel. For the conference venue, it takes about 10 minutes to Stephansplatz station. From there you walk 5 minutes to the conference venue. The rooms are all equipped with TV, bath+WC, writing desk and WLAN. The One Lounge offers snacks and drinks. 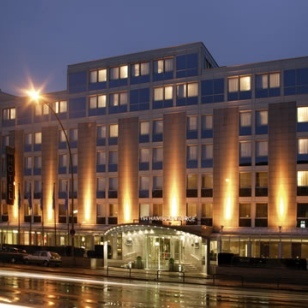 The NH Hamburg Mitte is a 4-star hotel and had been completely renovated in 2008. It is located near the city centre with train- and bus connections close by. To the conference venue it takes about 15 minutes (S31 Sternschanze station to Dammtor) station, or 1.8km direct walking. The NH Hamburg Mitte hotel is equipped with telephone, WLAN, safe, tee and coffee for free, and bath+WC. The hotel also provides a TV lounge and a little library. The hotel bar in a comfortable winter garden provides drinks and snacks. Please use the link for the event-tool provided by NH Hamburg Mitte for reservation. All prices are per person/per night and in Euro (€) including VAT and service. 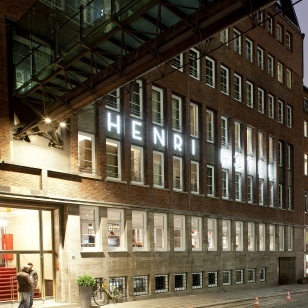 The 4-star hotel Henri Hotel Hamburg Downtown comes in the style of the fifties and is located in the centre of Hamburg. The Hamburg Hauptbahnhof (central station), where you find the connection to all trains, is within walking distance. To the conference venue it is only 1 stopp (train S11 or S31) to Dammtor station. The rooms are all equipped with TV, telephone, safe, writing desk, WLAN, shower-bath+WC, and mini bar . The Kontorküche and the lounge provide breakfast, snacks and drinks in a cosy environment. The hotel offers guests a gym and a spa for activity or relaxation. 118.00 20.00 14.00 Free Free 15:00 h 11:00 h.
All prices are per person/per night and in Euro (€) including VAT and service.